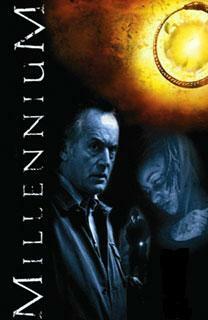 Halloween is fast approaching and no one enjoys this holiday more than Millennium fans! Last year BacktoFrankBlack had a very successful Halloween when we dedicated a week to the brilliant episode "The Curse of Frank Black"! Well, we plan to continue that tradition by topping what was done last year. We have a very exciting week planned for Halloween including special guests, events, and competitions. You won't find any other site that will have the exclusive content we are going to bring to you. No one does Halloween better than BacktoFrankBlack! Keep coming back to the blog for more information. 2 Responses to "BacktoFrankBlack Halloween Celebration!" Awesome. Can't wait to see what's being planned.